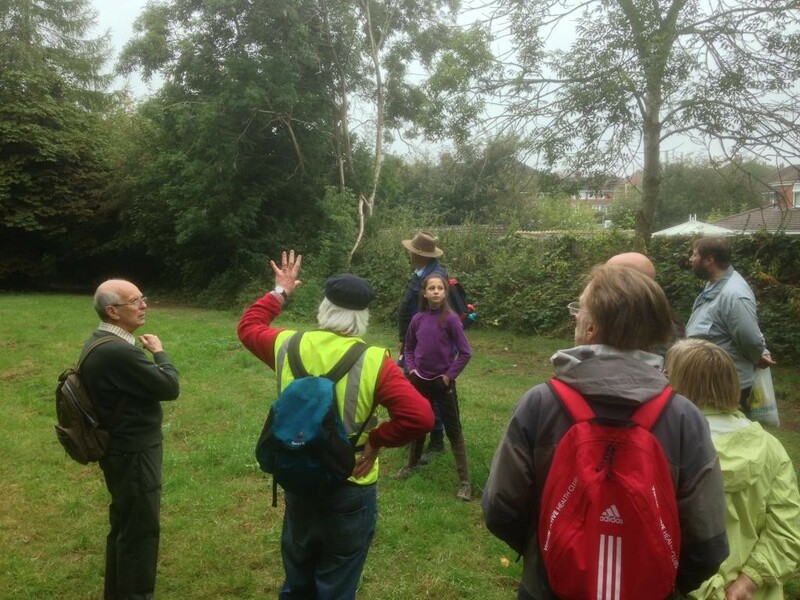 On Saturday 20th September 2014, the Lapal Canal Trust held its annual ‘Walk The Line’ ramble along the missing link of the Dudley No.2 canal dubbed the ‘Lapal Canal’. The trust is actively working to restore this section of the Birmingham canal network so that it may once again become a fully working waterway. 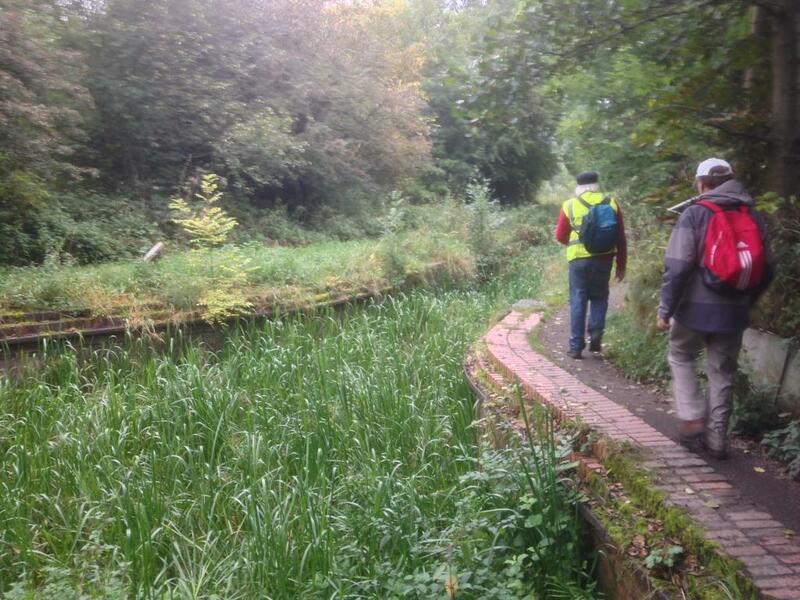 The trust aims to do this through the use of modern engineering methods and materials making it entirely feasible to reclaim the missing link between Halesowen and Selly Oak via the newly proposed ‘Over The Top’ route taking the canal through the Woodgate Valley. 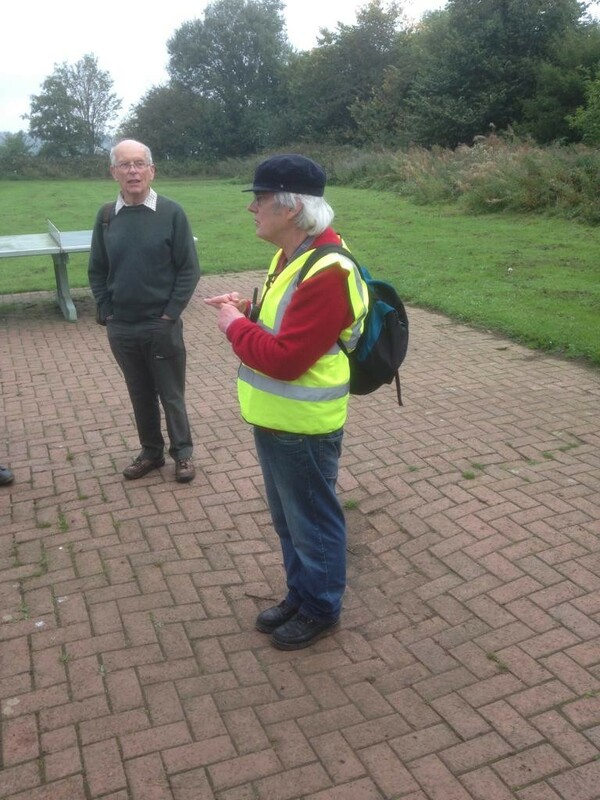 This document details the points of interest along the 5.5 mile canal route accompanied by photos of this years walk to give you an insight into the restoration project and give you the opportunity to discover this lost waterway by walking the line. The route starts in Battery Park, Selly Oak which is currently inaccessible due to the current construction works building a Sainsbury’s megastore and a Life Sciences Campus for the nearby University of Birmingham. Sainsbury’s and Land Securities (a retail development company) have formed a joint venture called The Harvest Partnership. 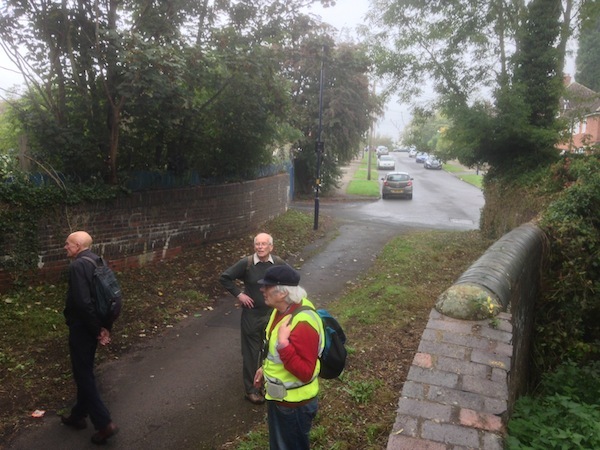 This partnership will be part funding the restoration of the Lapal Canal from its junction with the Worcester and Birmingham Canal to the Harborne Lane Bridge. Click on the map below to enlarge and see the locations of all photos pinned to a satellite image of the route. Photo 2. 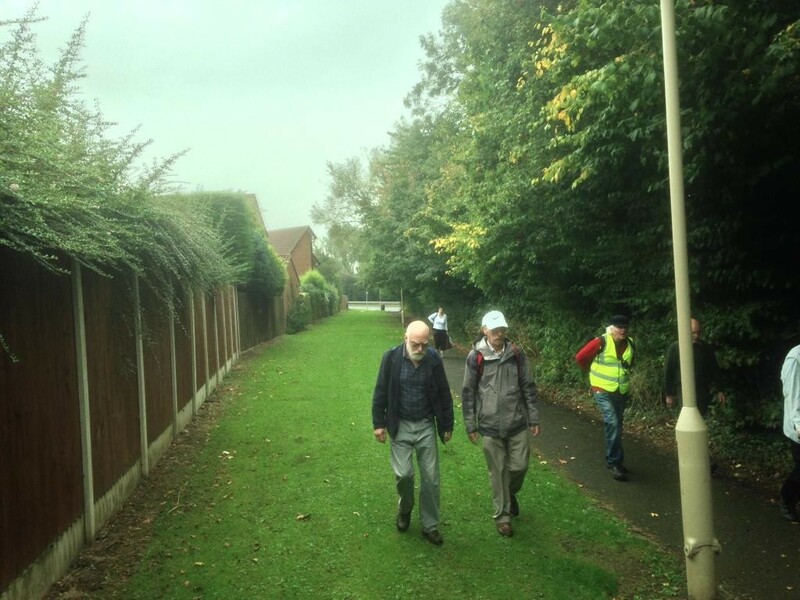 – The party heads off towards Selly Oak Park. 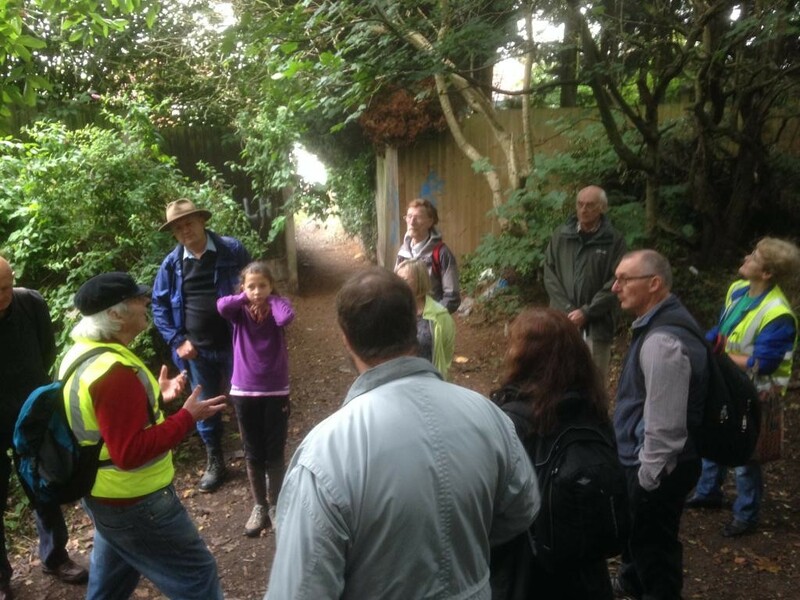 The area left of the towpath will become a small marina for the adjacent Selly Oak Scouts to use for water related recreation activities. 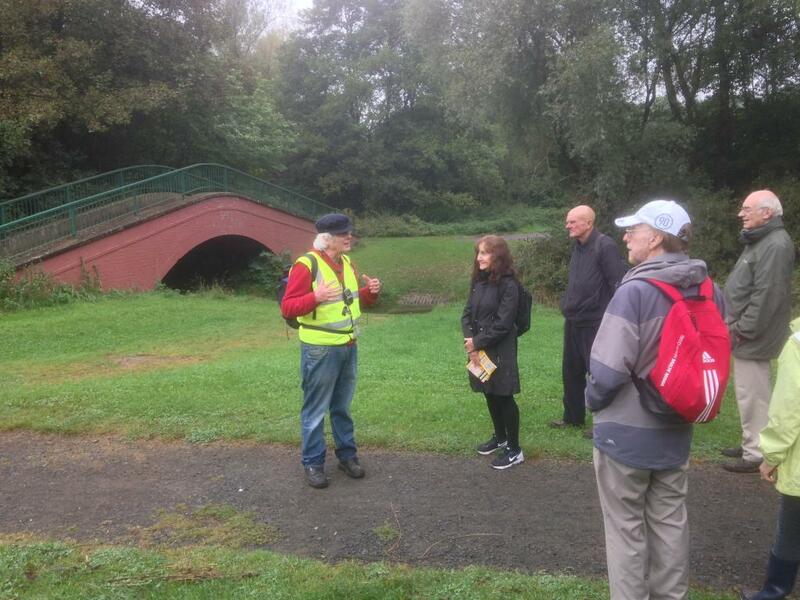 In the distance is Selly Oak Park Bridge, one of the two oldest surviving original canal bridges in Birmingham. Photo 3. 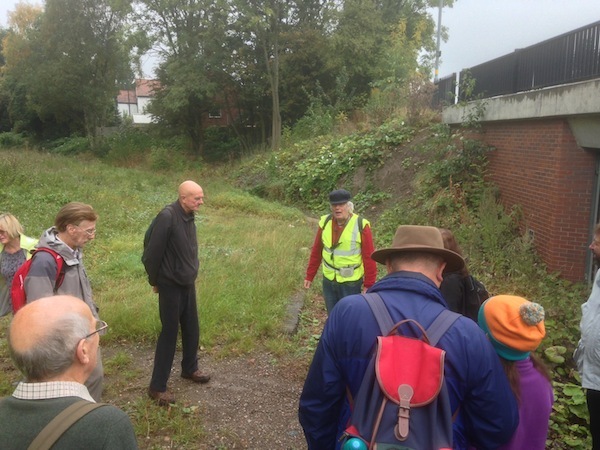 – The trust has already begun excavating the canal around the Selly Oak Park Bridge. There is still a lot of post abandonment infill to remove. We aim to restore the bridge to its original condition so that it may become a listed structure. Photo 4. 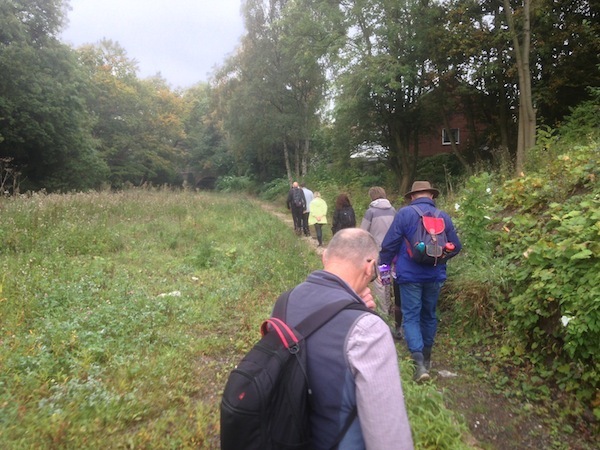 – We head off through Selly Oak Park with the canal running on the right hand side through the trees (much of which will be removed or coppiced when the canal is restored). All trees are self-seeded. Photo 5. – The trust will need to install a bridge here. 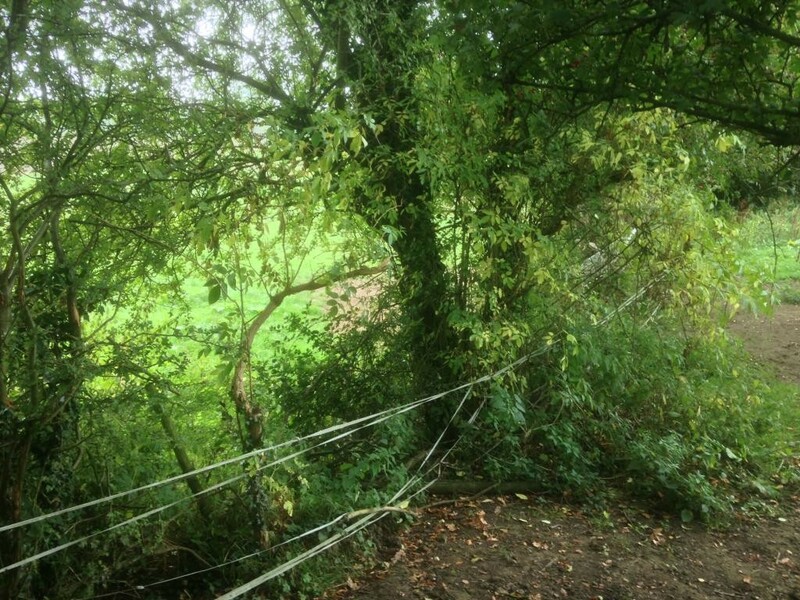 It is a popular route used by school children on their way to the nearby Water Mill Primary School. A swing bridge is the most viable solution. Photo 6. – You can still spot relics of the past. 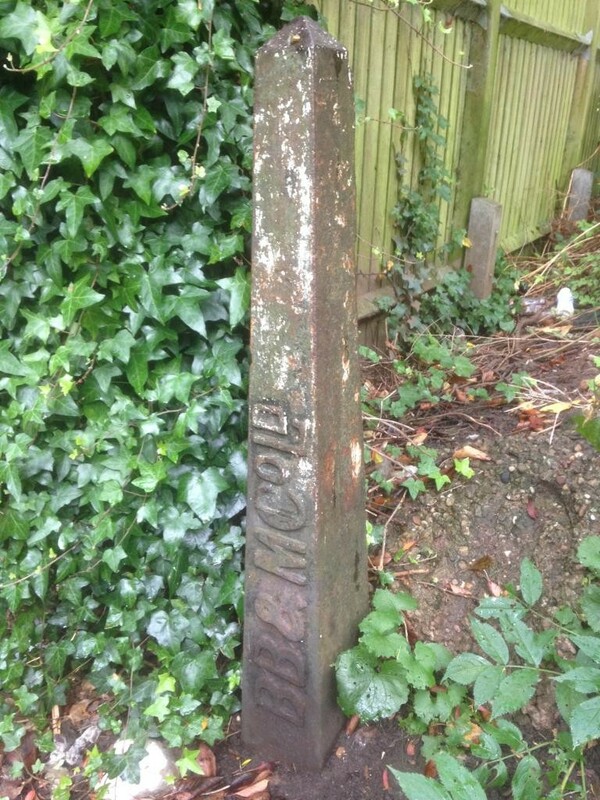 This is a metal marker with the initials of the Birmingham Battery & Metal Company whose manufactory existed where the Lapal Canal joined the Worcester & Birmingham line. The company had their own wharf and used the canal extensively to transport their goods and materials. Photo 7. 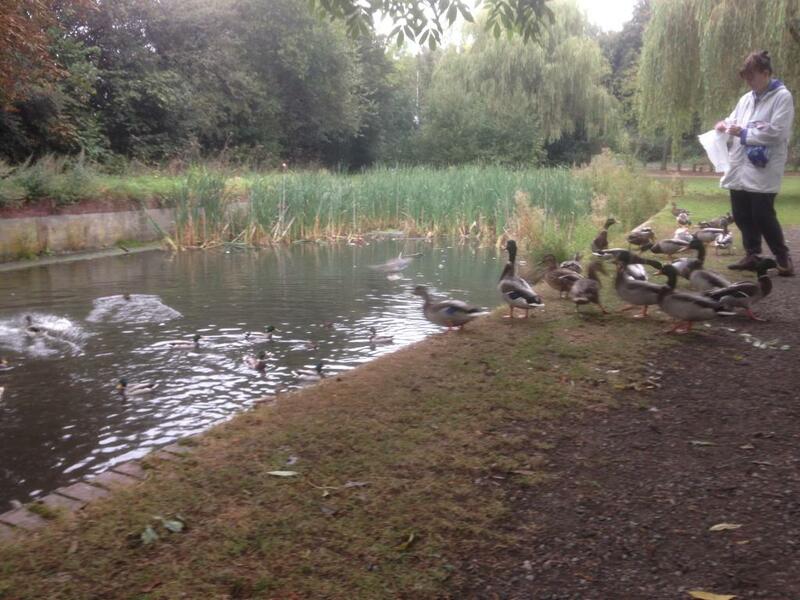 – The canal has wound itself past the endless rows of private residential gardens to this open space. The original route of the canal (including the now buried Lapal Tunnel) was entirely level for the sake of speed. 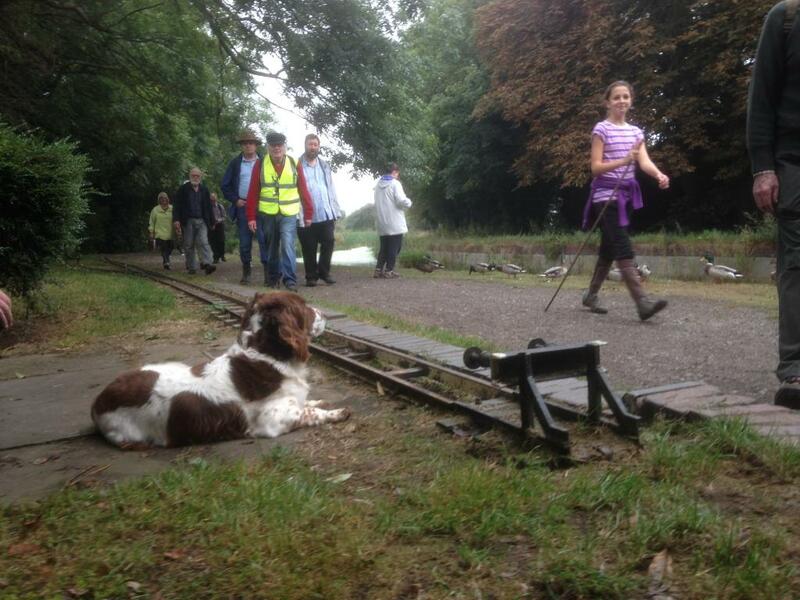 The proposed ‘Over The Top Route’ will take the canal higher and this open space will mark the first of several locks. Photo 8. – Here is the original bridge carrying Somery Road. The land has been climbing steadily requiring the canal to run through a deep cutting. 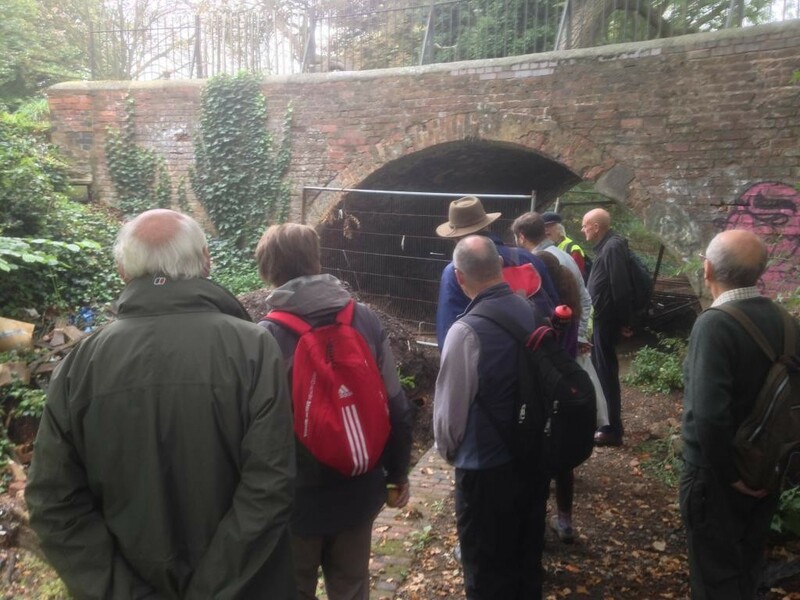 Some members of the trust as boys used to fish off this bridge and they remember the canal being a long way down. Photo 9. – The party is now looking over California where the eastern tunnel portal lies buried. This area of land also included the 3 brickworks of California that produced the bricks to build the tunnel and the canal. Due to decomposing rubbish that was tipped in the 1970s, this area of land is generating methane that is being released through several chimneys. This area of land could potentially become Birmingham’s long required marina with new residential housing. Photo 10. – Here is a section of wall from the original bridge that crossed the eastern tunnel portal. The California Inn, from which the area gets its name, once existed on the left side of this road now known as the B4121. Photo 11. – A small memorial erected by Walmart International on behalf of the Trust and Bartley Green and District History Society when they built the adjacent Asda supermarket. 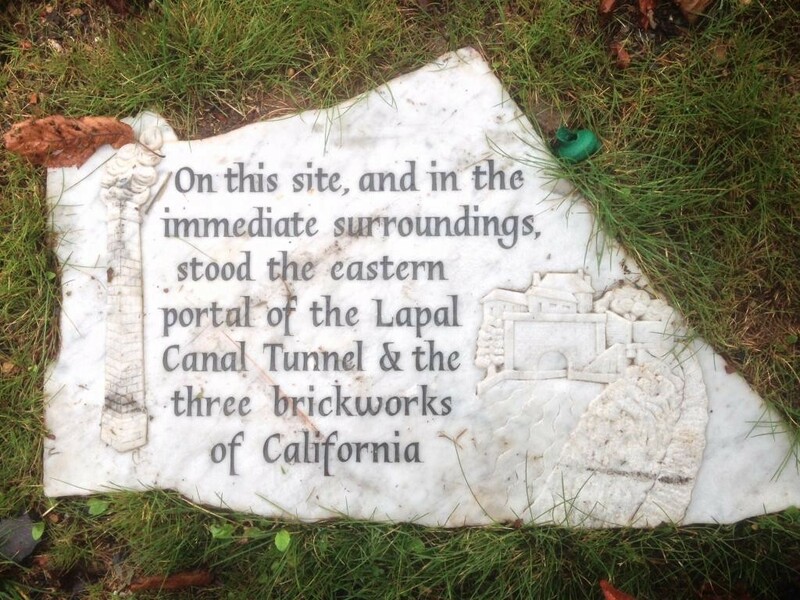 The memorial depicts how the eastern portal looked with the California Inn. Photo 12. 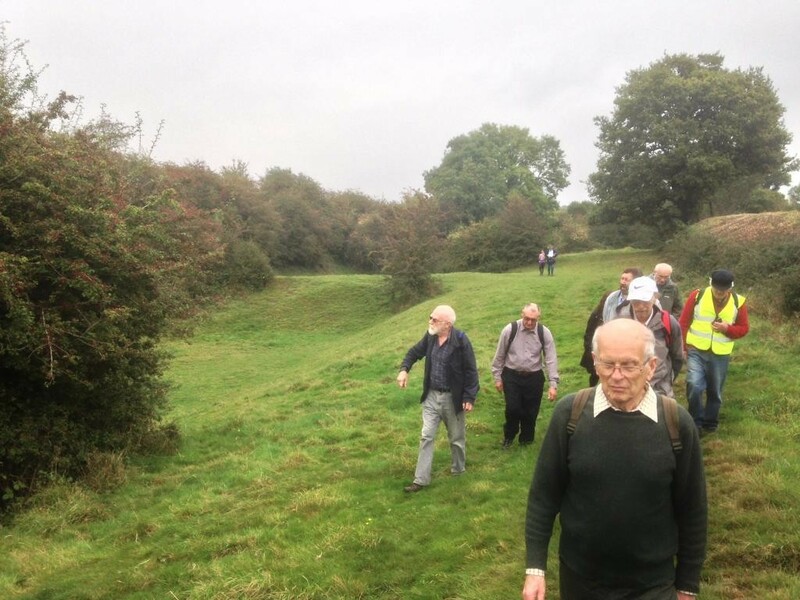 – The canal will now follow its new proposed route by going underneath the B4121 roundabout via a small tunnel before joining the Woodgate Valley where it will continue to climb to its new summit. Photo 13. 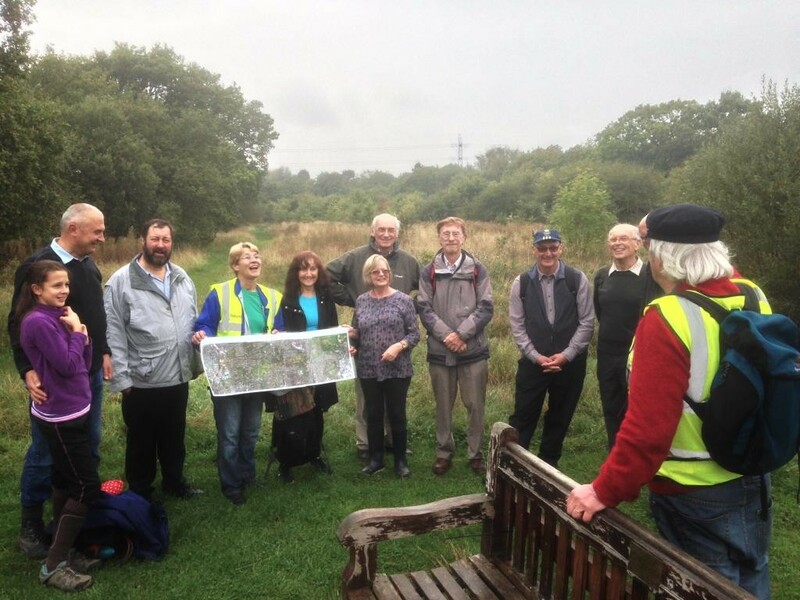 – The canal will run parallel with the Bournbrook through the floor of the Woodgate valley. Two identical pedestrian bridges cross the Bournbrook where the canal will still rise via its new locks. Photo 15. – Peter stands in a slight collapse in the pavement that sits roughly on top of the Lapal Tunnel. Due to differences in soil, different sections of the tunnel has shifted slightly which has caused several collapses. This is one of the reasons why the trust has decided to adopt the alternative ‘Over The Top’ route through the Woodgate Valley.The tunnel has insufficient ventilation to accommodate modern diesel engine narrow boats. This is the location of a proposed replica air vent that is the Trust’s memorial to the tunnel. Photo 16. – This tree marks the western portal of the Lapal Tunnel. The new canal route runs a little north of this location. Photo 17. – The remains of the fish ponds (shown on the left) for the nearby St. Mary’s Abbey (now ruined). Legend has it the ponds were drained by Henry VIII following the classic rumour that the monks had buried their gold beneath the ponds. Photo 18. 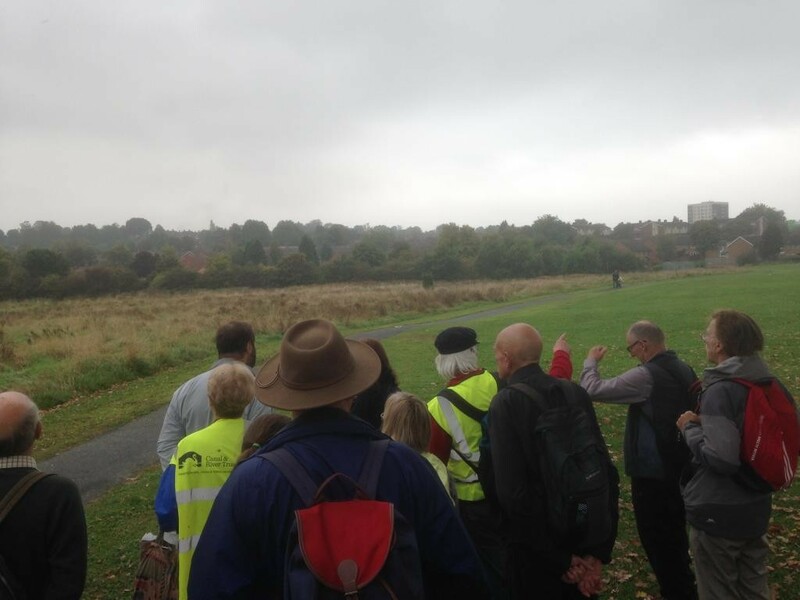 – The party have now crossed Manor Way (in the distance) where the canal will cross over via an aqueduct before dropping down to its original water level via the last lock. 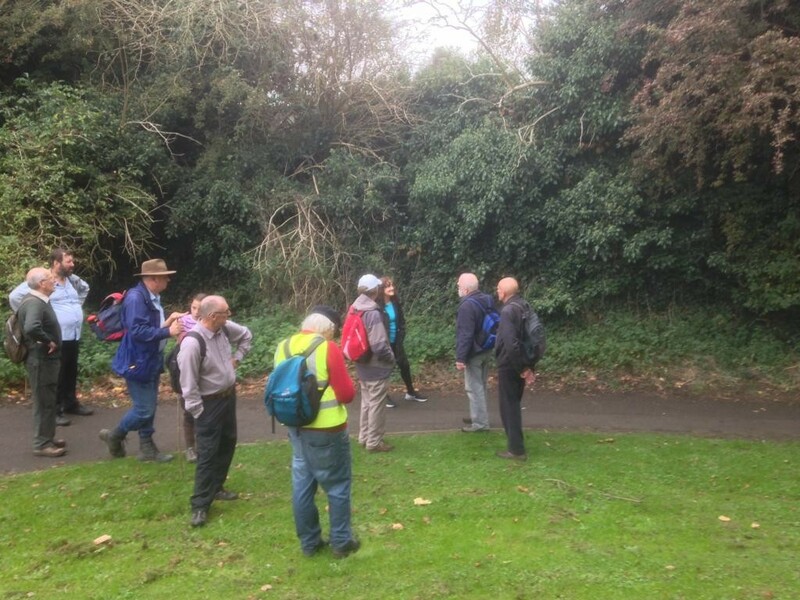 We have now rejoined the original route of the canal. Photo 19. 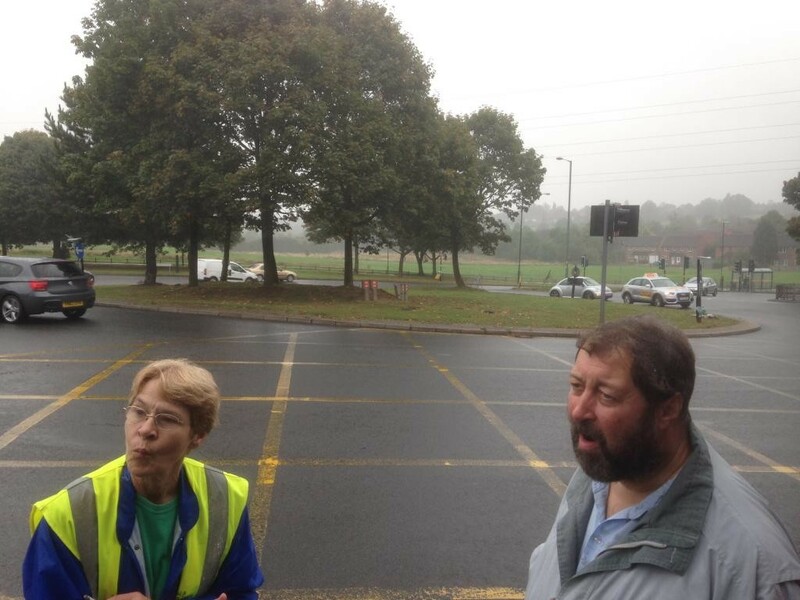 – The party are now standing on the site of the Fordrove Bridge that once carried Fordrove Lane (now non-existent). Photo 20. – As we approach Halesowen, more reminders of the canals existence start to appear. This is a protective device called ‘The Narrows’ to prevent any canal losing water due to geological instability beneath a constructed section. It was partially restored in 1990 by Dudley Council. Photo 21. – This section of the canal in The Leasowes could be restored with ease. All it would require is brush clearance and filling with water. 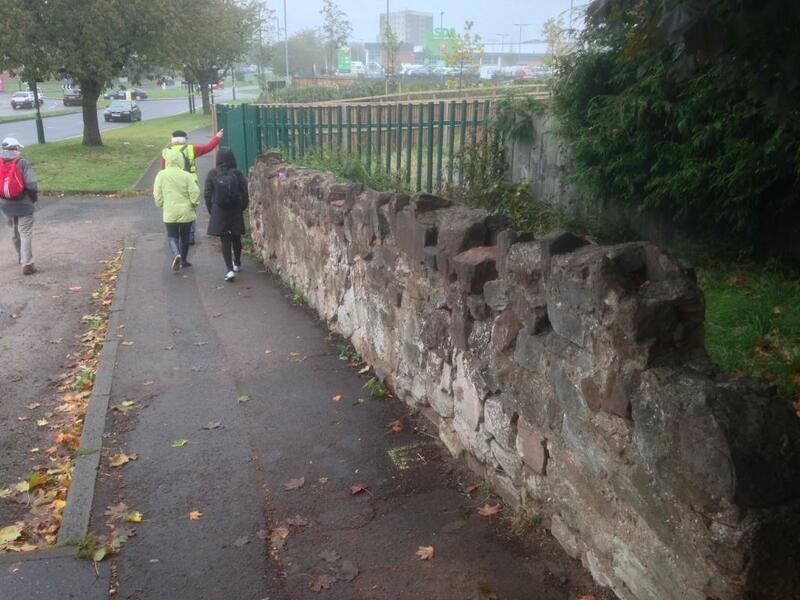 Dudley Council provided the brickwork in 1990 as part of their partial restoration efforts to preserve the line of the canal. Photo 22. 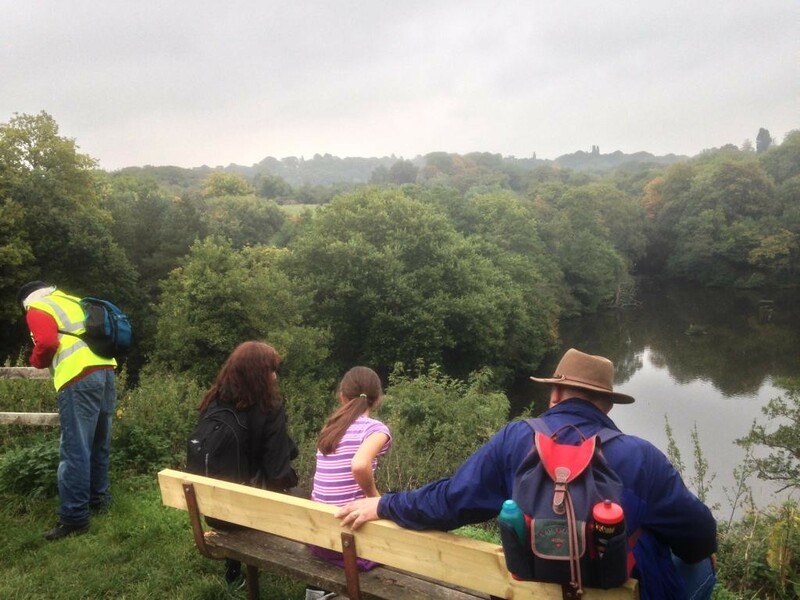 – The canal overlooks the picturesque Breaches Pool in The Leasowes Estate. Designed and developed by the poet William Shenstone between 1743 and 1763, the garden is the earliest example of the landscaped ‘English Garden’, which was threatened by the arrival of the canal. The original shareholders wanted the quickest route through. At the time, embankments were proven technology whereas an aqueduct for example was a speculative unproven solution. Photo 24. 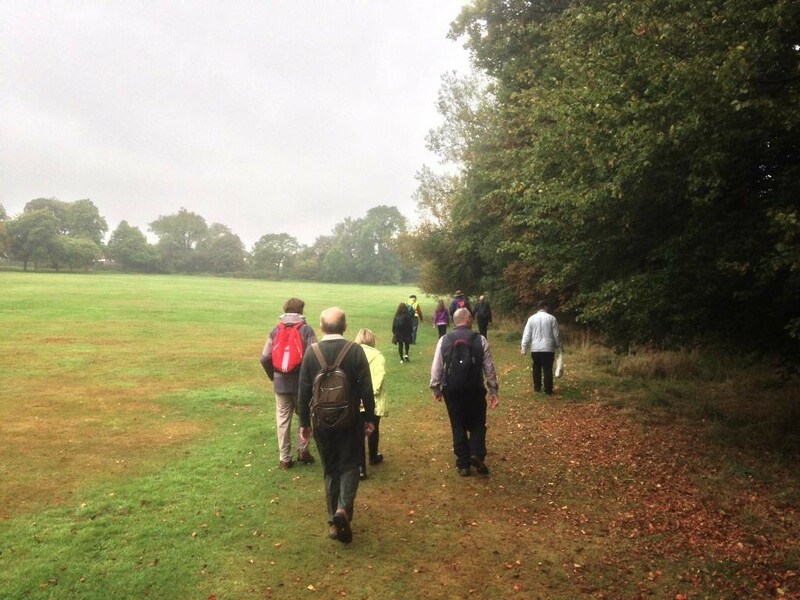 – The party reaches the end of the walk near The Leasowes car park where we enjoy cake and tea. 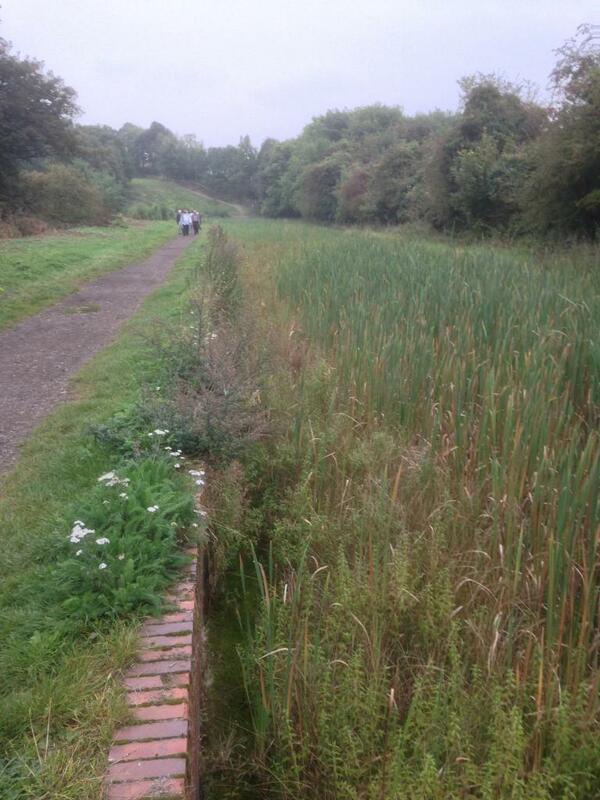 Here you can see the remains of a narrow-gauge railway that follows the canal. An enthusiast used to bring his engines and offer journeys in days gone by.